Are you missing your Easter break already? If you managed to get away with your family (or even without them!) you may be finding the return to the weekly work/school routine tough. How to eat your way to productivity. Why do we procrastinate? And how to cheat your brain into working. Six time management and balance tips. How to wear colour to change the way you feel at work. How to work during your period. Quick and easy ideas for an instant lift. 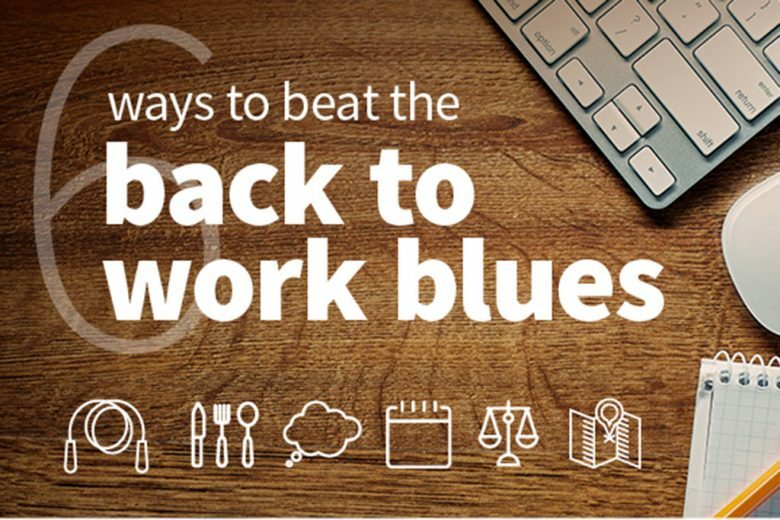 If you’d like more inspiration (and productivity tips), Medway Leisure Travel have created a handy infographic sharing six ways to beat the back to work blues. Infographic created by Medway Leisure travel.